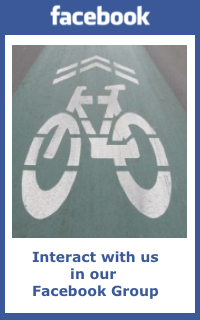 Sign up now for a MDOT/SHA pedestrian and bicycle trail funding workshop! March 5th at the Browning Building, located in Pinecliff Park, 8350 Pinecliff Park Road, Frederick, hosted by Frederick County and the Heart of the Civil War Heritage Area. To RSVP, go to http://www.eventbrite.com/e/mdotsha-pedestrian-and-bicycle-project-funding-workshop-hosted-by-frederick-countyheart-of-the-tickets-10321398581. This is a great opportunity to learn about available funding sources, project eligibility, program requirements, and funding cycles. The workshop is free. The Safe Routes to School Program is a reimbursable, federal-aid funding program for education, encouragement and construction projects that promote children to safely walk or bicycle to school. The program can assist in funding projects like infrastructure such as sidewalks, crosswalks, signage, pedestrian signals and bike racks or non-infrastructure projects such as education/encouragement programs, targeted law enforcement efforts, safety training, walking school bus and media outreach.